Is there a better alternative to Loop Editor? 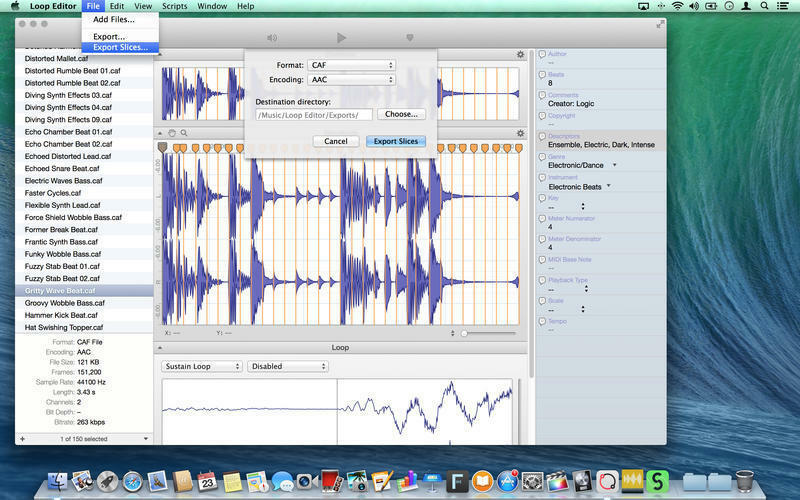 Is Loop Editor really the best app in Audio category? Will Loop Editor work good on macOS 10.13.4? Loop Editor is the perfect replacement for Apple Loops Utility. 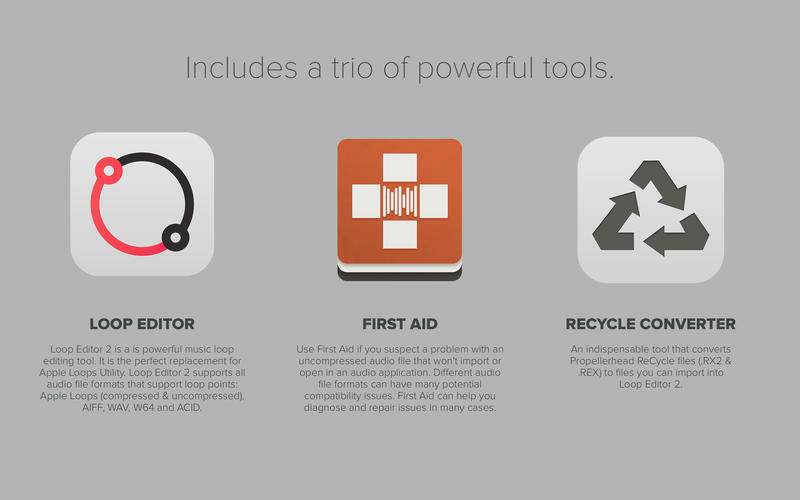 It supports all audio file formats that support loop points: AIFF Apple Loops, compressed and uncompressed CAF (AIFF, AAC, and Apple Lossless) Apple Loops, AIFF, WAV, W64, and ACID. Additionally, Loop Editor supports forward, forward-backward, and backward looping. 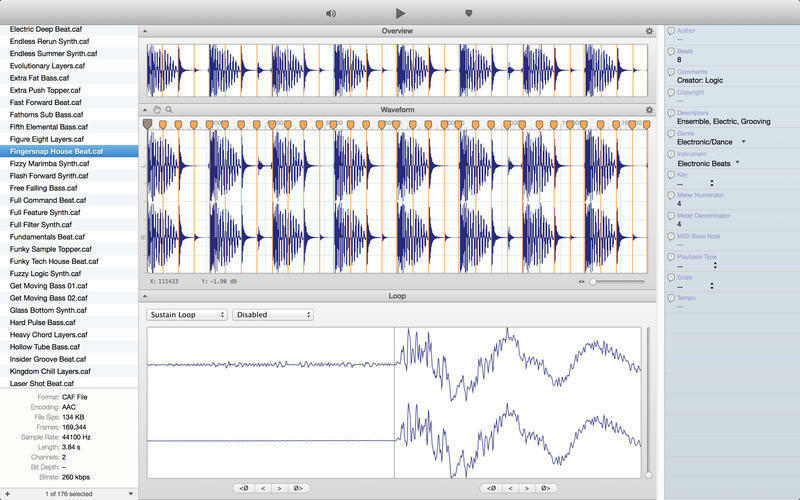 Loop Editor is one of the only applications available which supports sustain and release loops. Loop Editor 2 allows you to view, add, edit and export Slices. It also supports advanced property editing capabilities such as the "Genre" and "Descriptors" properties for Apple Loops files. For those of you that work with Propellerhead Reason and ReCycle, we have included our ReCycle Converter tool which converts ReCycle REX and RX2 files for use in Loop Editor.